Glynn has updated the Station Masters dataset with another 200+ entries. This completes stations beginning with the letter ‘B’, the combined total of entries now being 727. There remains plenty more to do, so the final number of entries will likely amount to several thousand. 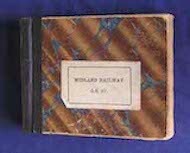 The original research was based purely on the Midland Railway period (1844 to 1923) and that of its constituent companies. Later information is now being added, although this is usually less detailed as records are particularly sparse. One of the problems with Midland Railway Coaching (or Traffic) Department records is that they generally used initials rather than forenames - and in odd cases just surnames! Every effort has been made to determine forenames, though even here cases have been detected in censuses, trade directories, and minute books where these were not always recorded correctly. In odd cases neither initials nor forenames are currently known. This fact is identified as "??". It should be specially noted that research relating to Station Masters will always be a "work in progress", and that additional information will be added periodically, even after entries have been recorded for all of the stations. Station Masters often covered both passenger and goods duties. 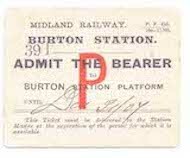 In some cases the name Station Master was used where only goods operations took place, although the term was generally changed in later years. There were also periods where duties were affected by organisational changes. In the early years men working at small stations were often referred to as Station Clerks rather than Station Masters, while the term Clerk-in-Charge, was also used occasionally (a name more frequently used by other companies where joint arrangements existed). Sometimes men were referred to as Agents (more often in censuses than official records). Only limited references to Agents are included in this dataset. 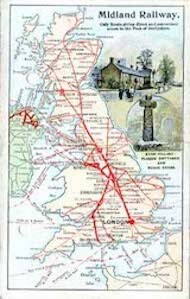 These primarily relate to locations owned by other companies where the Midland Railway also had a presence, and where both the names Station Master and Agent were used at different times. Station names were often changed. 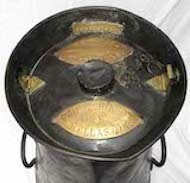 The ones used are those that applied when the incumbents took up their duties as Station Masters so, for example, prior to 1900 a person would be shown as employed at Staveley, but thereafter at Barrow Hill & Staveley Works. Suffixes to station names in square brackets generally refer to locations where there were joint working arrangements with other companies. These are summarised below. The list will be extended as new entries are added. In odd other cases, square brackets are used as a means of differentiating the locations from ones with the same or similar names - e.g. "Barrow [-on-Soar]". This station opened as Barrow in 1840 and was re-named Barrow-on-Soar in 1871. Suffixes in parentheses were parts of the station name. BPR&P Bristol Port Railway & Pier A joint arrangement with the Great Western Railway in the Avonmouth area. F&M Jt Furness & Midland Joint The line from Wennington to Carnforth. GC&M Jt Great Central & Midland Joint The title used by the two companies between New Mills and Manchester, and in the Widnes area from 1904 to replace that of the former Sheffield & Midland Railway Companies Committee - albeit that the MS&LR was renamed the GCR in 1897. This title continued to be used by the LMS and LNE Railways until 1948. LT&SR London, Tilbury & Southend Railway Absorbed by the Midland Railway in 1912. Some earlier joint arrangements. 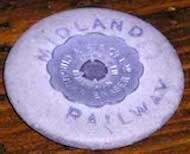 M&GN Jt Midland & Great Northern Joint Railway Formed in 1893. For the purpose of this listing, this title has also been applied during periods of ownership by constituent / absorbed companies. It continued to be used by the LMS and LNE Railways until 1948. Mid & GCR Midland & Great Central Railways Identifies the joint ownership of stations not included in the GC&M Jt arrangement in the New Mills / Widnes areas. Mid & MS&LR Midland & Manchester, Sheffield & Lincolnshire Railways Identifies the joint ownership of stations not included in the Sheffield & Midland Railway Companies Committee area. N&SWJR North & South Western Junction Railway An arrangement between the Midland, London & North Western, and North London Railways between Willesden and Kew. S&K Jt Swinton & Knottingley Joint A joint arrangement between the Midland and North Eastern Railways. This title continued to be used by the LMS and LNE Railways until 1948. S&MRCC Sheffield & Midland Railway Companies Committee The title used by the Manchester, Sheffield & Lincolnshire Railway companies between New Mills and Manchester, and in the Widnes area until 1904 when the title was changed to the Great Central & Midland Joint - albeit that the MS&LR was renamed the GCR in 1897. T&FGR Tottenham & Forest Gate Railway A joint arrangement with the London, Tilbury & Southend Railway. Became wholly owned by the Midland Railway following the absorption of the LT&S in 1912.